For the first time in a while, a male Bufflehead (Bucephala albeola) ventured close enough for me to get some shots yesterday when I was exploring Occoquan Bay National Wildlife Refuge. 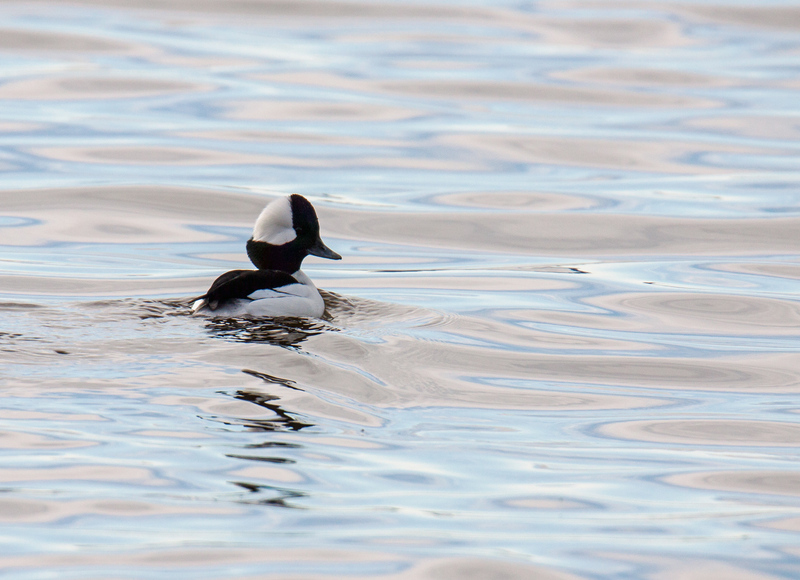 I have posted some photos of buffleheads fairly recently, but they have all been of females (or possibly immature males). The shape and colors of these little water birds, especially the males, always strike me as cartoonish—like they were drawn by Disney artists. Out and about already Mike? Surprised you don’t have jet lag! Oh, I definitely do have jetlag. I am waking up and sleeping at irregular hours, but that hasn’t kept me from going out with my camera. There is something therapeutic about being out in nature after a week in a city. 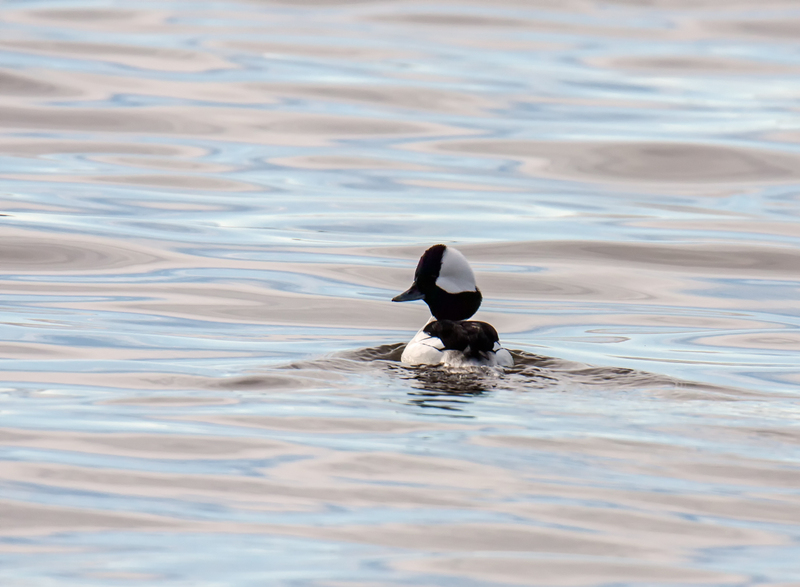 I can never get enough of the buffleheads, and your photos do a good job of capturing the unique profile of their head shape. Really wonderful, Mike.